President-elect Donald Trump railed against civil rights icon Rep. John Lewis, D-Georgia, in two tweets Saturday morning, following the congressman’s plans to boycott next week’s inauguration. Lewis also contested Mr. Trump’s legitimacy as president in his NBC interview scheduled to air Sunday. After Mr. Trump’s pointed missives, several Twitter users came to Lewis’ immediate defense, tweeting their own critical messages to the president-elect and reminding him of the Georgia congressman’s record on civil rights. One Republican strategist pointed out the irony of lashing out at Lewis, a former chair of the Student Nonviolent Coordinating Committee who risked his life organizing sit-ins and marches to fight racial injustice in the Jim Crow South, on the eve of Martin Luther King Jr. Day. 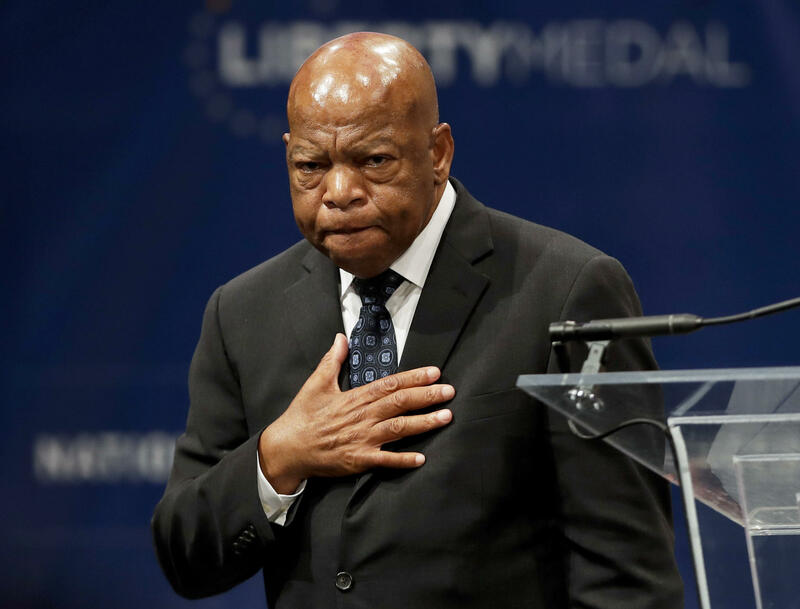 Others mentioned Lewis’ actions during “Bloody Sunday” in 1965, when he attempted to lead a march from Selma to Montgomery, Alabama, that ended in brutal police action against protesters. Actually, Rep. Lewis' actions earned him a cracked skull & helped result in a more just society. And still other journalists and historians pointed out the factual inaccuracies in Mr. Trump’s tweets about the district represented by Lewis, a 16-term congressman. Hardly the most egregious part of the Trump tweet, but Lewis represents the nicest parts of Atlanta. Black congressman does not = slumlord.